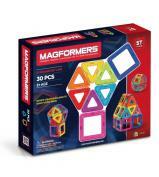 Build a world of magnificent magnetic creations. 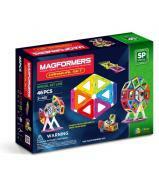 Kids are WOWed by the colourful creations of Magformers 16 piece WOW Set. 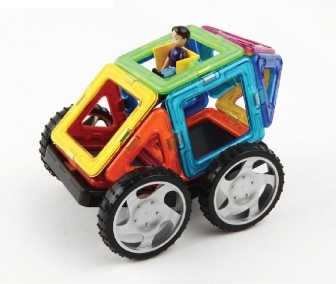 Follow brilliant illustrations on 26 large, colourful cards to piece together 20 mini-cars and 8 planar figures with the magnetic shapes. 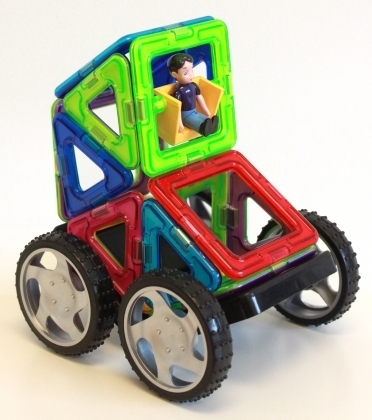 Endless possibilities for different cars, buildings and designs of your own creation are in store! When you're ready for something different, set out the 11 play patterns. 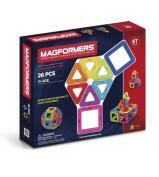 See if you can connect the magnets to create the outlined shapes and scenes. 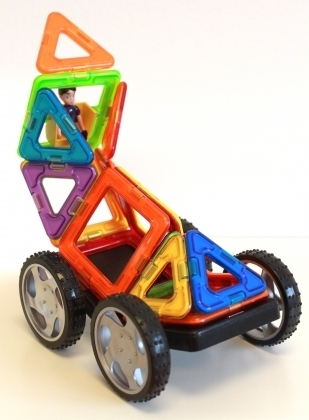 It's logic-building play! 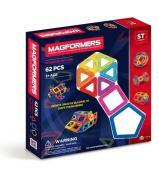 Intelligently designed, truly easy to use, and made of high quality materials, Magformers WOW Set is wow-worthy engagement for kids. 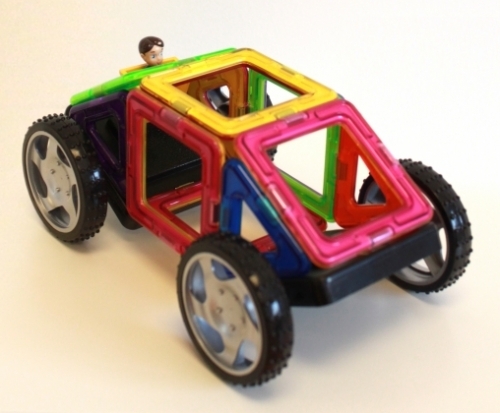 A special driver play figure adds to the fun! 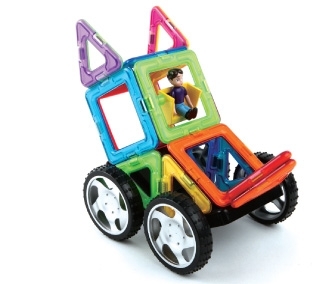 Oh what a thrill he'll have driving all your creations! 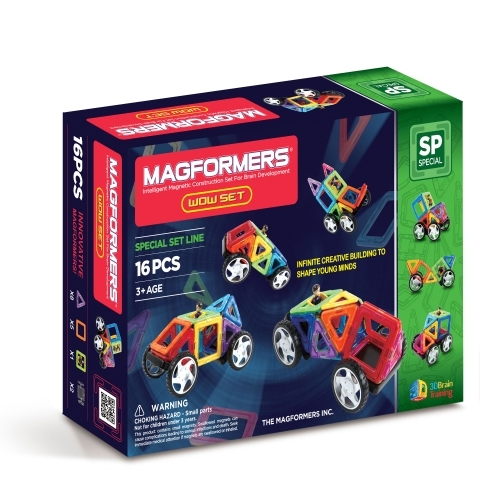 Magformers WOW Set includes 8 triangle pieces, 5 square pieces, 1 figure piece, 2 axle/wheel pieces and illustrated instructions to build 20 mini-cars, 8 planar figures.